While new and better technology is always nice to have, the real reason for upgrading your technology is to enhance the way you do business. For government agencies, this often equates to better serving the members of their communities. Technology can serve a purpose, in strengthening governmental entities and serving the needs of their internal staff and the individuals they serve. I've seen this happen first hand with phone systems. The importance of having the ability to communicate across any organization cannot be understated. With a Mitel phone system, not only can a government agency improve their customer service, but things can also move more smoothly for employees, too. But one thing that usually isn't addressed in the conversation about updating communication technologies is the expense involved. Upgrading communications can be expensive, especially for governmental agencies working with tight budgetary restrictions. Plus, government agencies have specific rules or guidelines controlling the purchase of new supplies, equipment and technology… typically referred to as the RFP process. 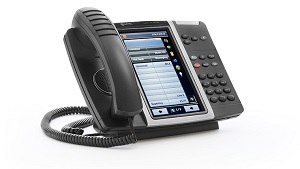 When it comes to phone systems, we have a solution to make your process simpler and more affordable. It’s a cooperative contract, facilitated by Sourcewell. In a nutshell, this contract gives government agencies access to Mitel phone systems or communication solutions at a competitive solicitations price – without requiring you to do your own request for proposal. Additionally, this opportunity fulfills any competitive solicitations requirements governing your purchases.